Polish scholar; born at Lask in 1821; died at Berlin in 1884. Having acquired a fair knowledge of rabbinical literature in his native country, he went to Germany, where he studied successively under Joseph Shapiro and Jacob Ettinger. Later he attended the universities of Würzburg and Berlin, and in 1871 he was appointed principal teacher of the Bet ha-Midrash of Berlin, a position which he held until his death. His works are as follows: "Hilkot Pesaḥim," on Passover laws compiled by Isaac ibn Ghayyat, supplemented by a commentary of his own entitled "Debar Halakah" (Berlin, 1864); "Ma'amar," a dissertation on Rashi's commentary on Nedarim and Mo'ed Ḳaṭan (ib. 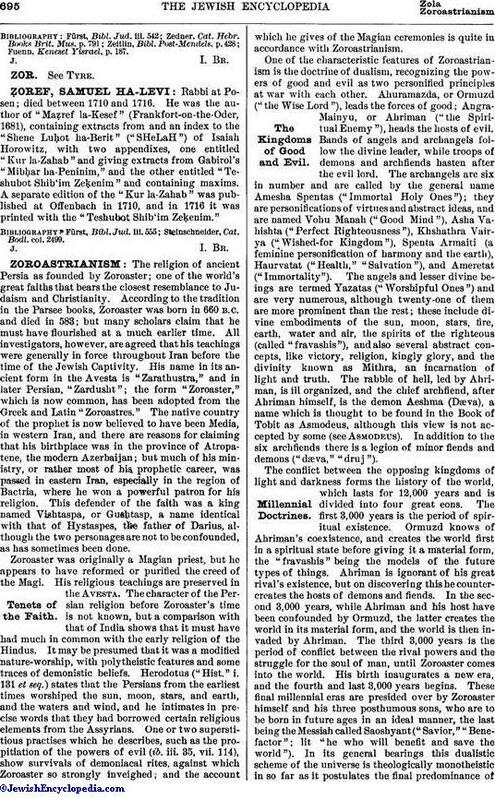 1867); "Moreh Derek," the commentaries of Gershon Me'or ha-Golah and of Rashi on Mo'ed Ḳaṭan (ib. 1870); and "Shiṭṭah Meḳubbeẓet," Bezalel Ashkenazi's novellæ on Nedarim. 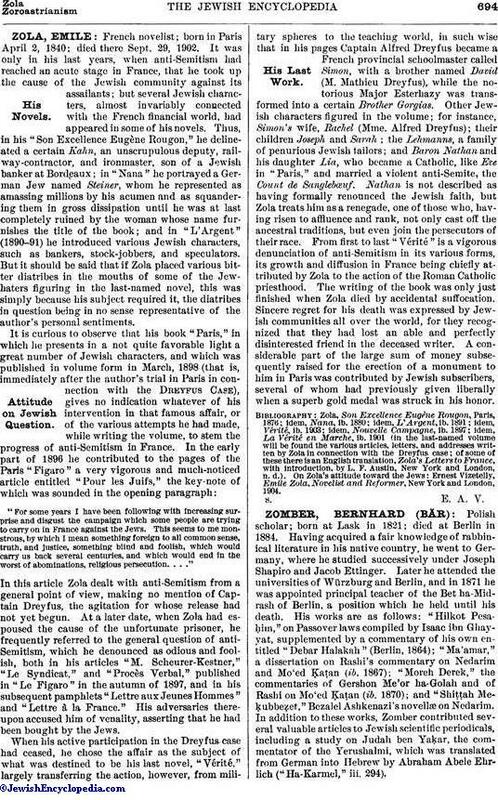 In addition to these works, Zomber contributed several valuable articles to Jewish scientific periodicals, including a study on Judah ben Yaḳar, the commentator of the Yerushalmi, which was translated from German into Hebrew by Abraham Abele Ehrlich ("Ha-Karmel," iii. 294). Fuenn, Keneset Yisrael, p. 187.